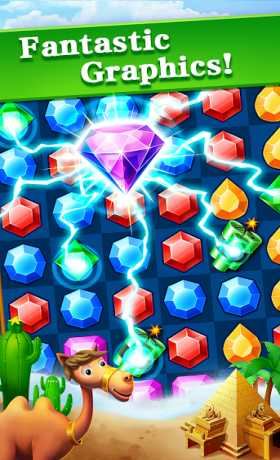 – Match 6 jewels can create a more powerful lightning jewel.It can destroy all jewels in a row AND a column. – Reach different level target to pass levels in your adventure. Just another match 3 games? No! – Easy and fun to play, challenging to master. – More than 390 addictive jewel quest levels – more added regularly. – More than 78 challenging castle levels. – 5 completely different best match 3 games types. 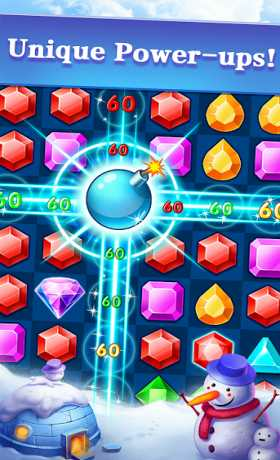 – Helpful magical boosters to win jewel stars. 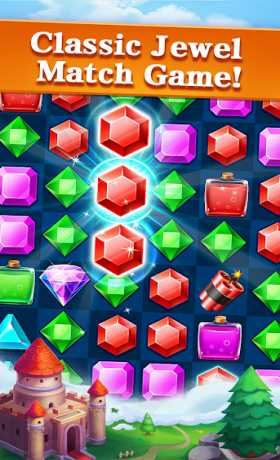 – Daily free bonus in best jewel games. – Auto hint when you jewel quest but could not find one match.